From one of my favourite authors… what’s not to like here?! I was really looking forward to this book’s release, and when it arrived I couldn’t wait to dive right in (see what I did there?). And I surely wasn’t disappointed. Following hot on the heels of the third book, this one joins Xavier Rodriquez and Magnolia in their search for the Metal Islands (and just what are those, one might wonder). But all is not plain sailing by any means. The oceans bring new dangers, not least rogue waves. In the meantime, up on Deliverance, Captain DaVita must fight through her own demons and doubts to lead her ship, and the Hive to safety. 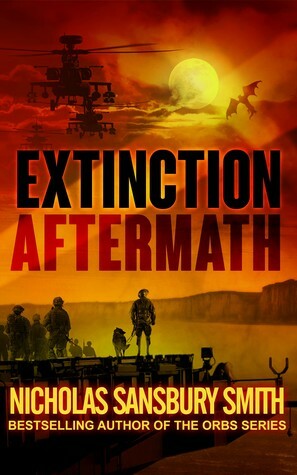 But new revelations about humanity’s past threaten their fragile existence and, as with all plans in this post-apocalyptic future, every decision comes at a price. Though I didn’t find this quite as gripping as previous books in the series (due to my own reading-related pressures at the time of reading), like the other three books it went down very smoothly, which in itself is a feat that Smith accomplishes with aplomb. The writing drew me immediately into the world of X and the rest, and it was easy to slip in and be taken along for the ride with no distractions. If you haven’t, go and pick up HD1 because this series is one helluva ride. I cannot wait for HD5, because… goodness me. I have no idea how this’ll pan out. 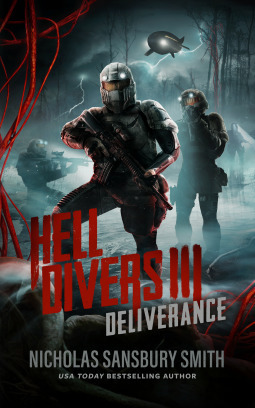 What an absolute treat to be able to reenter the post-apocalyptic world of the Hell Divers. The first book blew me away, the second book was duly devoured, and this third book was no less of a hell-ride. Approximately 250 years after the world went to hell in a nuclear war that destroyed the surface of the planet, airships ply the skies over what used to be the USA, unable to land on the blasted – and dangerous – earth. Now aged and falling apart, the airships are maintained by supplies collected from locations across the country by the intrepid Hell Divers, men and women who risk their lives with each jump they take to retrieve the supplies, battling raging thunderstorms, high radiation and mostly humanoid monsters called Sirens. Hive, the last of the airships, recently lost its last two teams of Hell Divers. Unknown to them, some of those Hell Divers survived to find a new airship they name Deliverance. And they are hunting down the legendary Hell Diver, X, lost ten years ago on a mission in Hades. 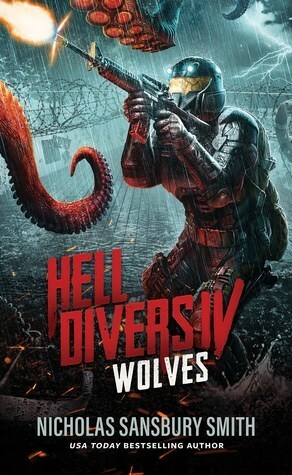 Meanwhile, on the Hive, a new team of Hell Divers must be trained to continue the supply runs. But when Captain Leon Jordan learns of Deliverance, he has a new goal: acquire the sleek new airship at all costs. 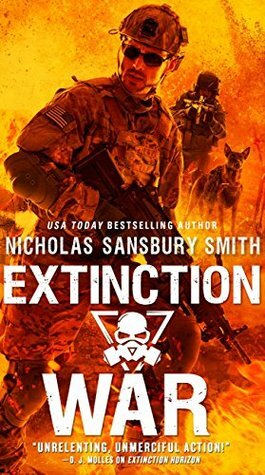 Nick’s prose, particularly in this series, is some of the most beautiful I’ve come across, making this series a qualified (due to the nature of the storyline) pleasure to read. It’s rare that I find books I can inhale as rapidly as these. The settings and characters are so realistic, and the delivery so smooth, that I just wrap myself up in the world for a few hours – sans hot chocolate! 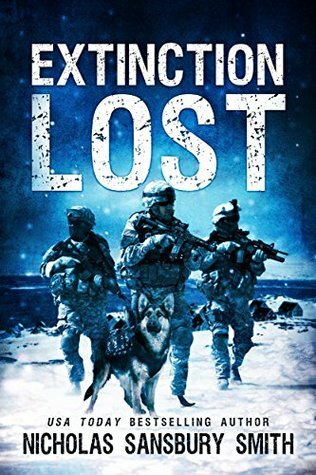 For all this is a post-apoc book with monsters – humanoid, animal and plant – Nick always manages to show that the true depths of depravity are found in the human heart; there’s truly no monster worse than one that wears a human face. I’m by nature not a vindictive person, but I really really hate the villain in this story. Oh, and that epilogue? It had me in tears. SO beautiful.